At the Agreements step of the initial setup wizard, accept the terms of the product license agreement and license agreements for third-party components of the product. You must accept the license agreements to start using the product. 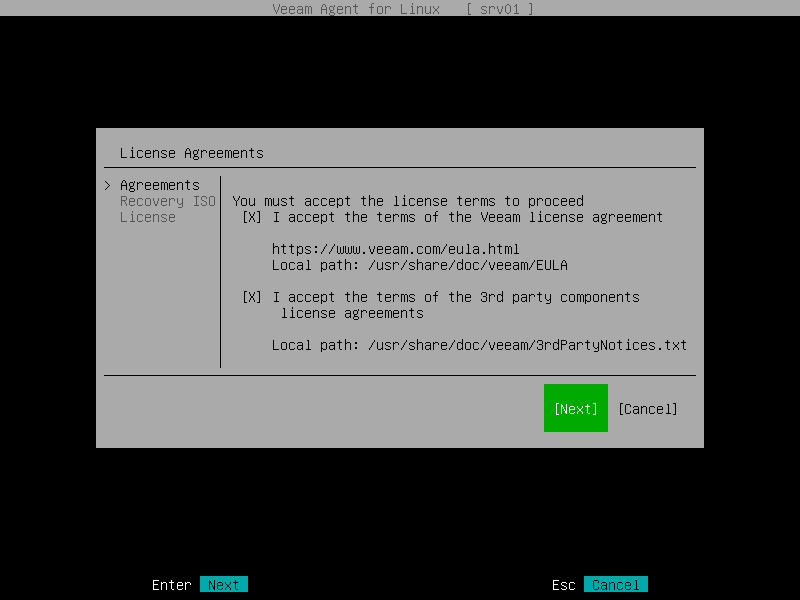 Until you accept the license agreements, you will not be able to perform backup and data recovery tasks with the Veeam Agent for Linux control panel and command line interface. Make sure that the I accept the terms of the Veeam license agreement option is selected and press Space. Select the I accept the terms of the 3rd party components license agreements option with the Down or Tab key and press Space.